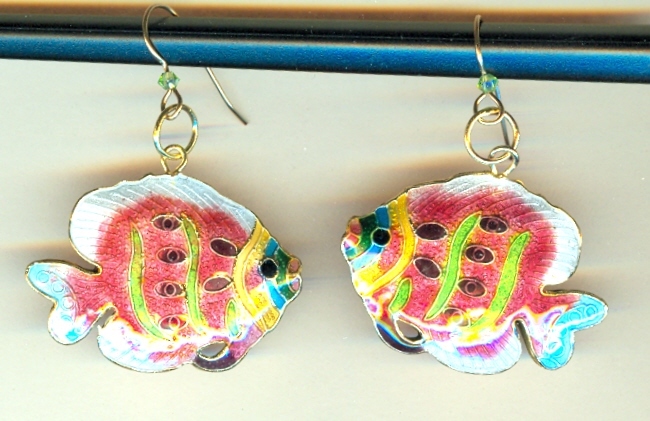 Lightweight, tropical-coloured cloisonne fish make dazzling earrings, perfect for daytime or evening wear. Each colourful fish is about 42mm (roughly 1-5/8 inch) long, and dangles two inches from the top of its 14 kt gold fill French hook. You won?t have to fish for compliments wearing earrings from SPARKLE PLENTY.